Best 22 Rifle Scope For 2019 - Quality Yet Affordable Scope Reviewed! Are you a small game hunter in search of a rifle scope for your gaming needs? You don’t need to look any further. The 22 rifle scope is all you need. 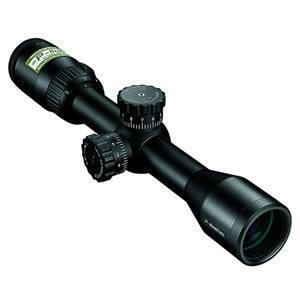 It has been the most popular rifle scope choice for small game hunters because of its normally fair price and also accompanied by incredible game hunting features. Well, getting the ideal one for your hunting needs maybe tasking with the several brands out there in market. This is especially if you are making your first time purchase. To save you the hassle, we bring you a detailed discussion of the best 22 rifle scopes that are richly featured to meet all your gaming needs effectively. Once you go through the article you will be able to make a well informed choice when you go out looking for a suitable rifle scope for you.Well, here we go! The Vortex Optics Crossfire II Second Focal Plane, 1-inch Tube Riflescopes is specially designed for serious hunters looking for high performance and durability. Just to mention a few, the rifle scope features dual use for shooting, a reticle for various hunting options, removable lens covers among many others we will get to look at. This rifle scope comes with an assurance of strength and durability thanks to its hard anodized aluminum construction that’s able to withstand harsh hunting conditions. Furthermore, the construction is also nitrogen purged to make the scope is waterproof and fogproof too. The Vortex cross fire II is known for having one of the best fast focus eyepiece that’s made with an incredible long eye relief feature. The exciting thing with this feature is that it enables you focus your reticle without much struggle and get access to your target pretty fast. Getting a clear view of your target is very essential for successful hunting sessions. This rifle scope features anti-reflective lenses that provide the hunter with a clear view while on their hunting trips. Having a rifle with shock proof capability enables you to have an assurance of protection in an event of an accidental fall or while on tough gaming activities. On top of the sturdy aluminum construction, this rifle is designed with a single piece tube that’s made from aircraft grade aluminum. This gives it an outstanding shock proof performance. There is also an added feature of O-rings that are meant to block dirt and moisture from entering the tube. To provide several hunting options, this rifle scope comes with a multi-option reticle that lets you select the aiming option suitable for your eye. Getting a rifle scope that’s hard to handle will limit your productivity. To counter that, this rifle is simply designed to give you an easy user’s experience while on their hunting activities. It is quite essential for a hunting rifle to have a waterproof capability. Reason being that there is always a big possibility of encountering wet weather conditions out there as you hunt. For that matter, this 22 rifle scope features a krypton gas blend that brings along the waterproof capability. This .22lr also features a diamond coat 2 placed on the externallens surface to provide maximum clarity and contrast. With this you will be able to view your target clearly even when in environments where clarity is remarkably poor. This rifle is not only durable but also lightweight. The main tube is one inch long and is remarkably light. With this feature you can be able to go for long hour gaming sessions without getting overly tired from carrying a bulky rifle scope. The Leupold FX-I Rimfire 4x28mm Fine Duplex comes set to endure all the tough conditions that come with gaming. With the nitrogen-purged chamber, the scope is waterproof and fog proof as well. With this, you can be able to go about hunting in wet weather conditions without worrying about wearing your rifle scope. If you are looking for a fairly priced rifle scope that doesn’t compromise on quality, the Nikon P- RIMFIRE 2-7x32 Nikoplex Rifle Scope Black is the way to go. Despite of it coming at a customer-friendly price, the scope won’t let you down when it comes to the features. Here below is what this incredible .22lr scope brings you. Being one the most exciting feature of this scope, it is designed with an anti-glare lens that uses non-reflective compounds. These compounds help in providing the gamer with clarity of up to 150 yards and longevity as well. This is also quite an important one. The ballistic technology enables you to get a picture of all the possible shots you could make and various shooting angles as well. This way you are able to hit your target without much struggle. When the rifle scope adjustments are lessened, you are going to get a quick perfect shot. With that in mind, Nikon brings you this scope with the zero reset feature to make the field adjustments as simple as keying in your succeeding ranges. Accuracy is very crucial when it comes to having a successful game hunt. This Nikon .22lr scope comes with a consistent eye relief feature to provide the gamer with maximum precision while aiming at their target. The specially designed BDC 150 reticle provides an outstanding open circle aiming points from 50 to 150 yards. The Bushnell Banner 4-12x 40 Dusk & Dawn Multi-X Reticle Adjustable Objective Riflescope is another 22lr that brings you uncompromised features for fulfilling shooting activities. First of all, the scope is waterproof/fogproof and also ruggedly designed to provide utmost durability. It also provides optimal brightness in all hunting conditions. Below we have highlighted a number of its outstanding features. If you are a serious hunter, you definitely will find yourself out there angling during sunset for one reason or another. To take care of such occurrences, this rifle scope features a multi-coated lens that helps in enhancing clarity in low light hunting environments. 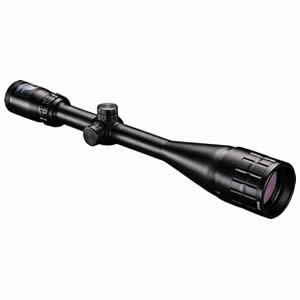 This 22 rifle scope is designed with the DDB capability that enables you to enjoy optimal dusk and dawn brightness. Another of Bushnell’s captivating features is the fast focus eye piece that enables you to make reticle adjustments without much struggle. You don’t want a rifle scope that will limit you from going about your hunting activities during wet weather conditions. This 22lr comes with water/fog proof feature that enables you to keep at your hunting activities in all weather conditions through the year. We always recommend for hunters to get rifle scopes with the shock absorber feature because it saves them a great deal while hunting on tough environments. The Bushnell Banner Dusk & Dawn Multi-X Reticle is designed with the shock absorber feature to protect it from damage when exposed to tough working conditions. Want a 22lr that’s handsomely featured with everything that you will need to enjoy your hunting activities? The Simmons Truplex22 Mag Riflescope will be a great buy for you. 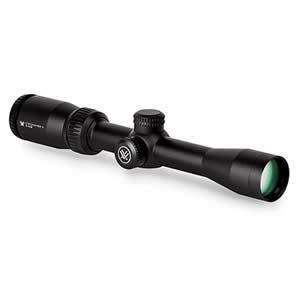 Featured with a single piece tube design, the scope is quite easy to handle as well as durable. More of the incredible features that are part of this 22lr are listed below. If you are a hunter that lives in a drizzly area, it should not limit you from going out on your gaming endeavors. 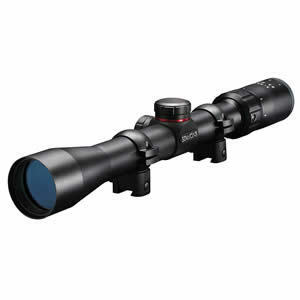 All you need to do is get a waterproof rifle scope that’s able to perform excellently even under such kind of weather. This Simmon’s rifle scope is both waterproof and fogproof thus would be great for hunters living in such areas. 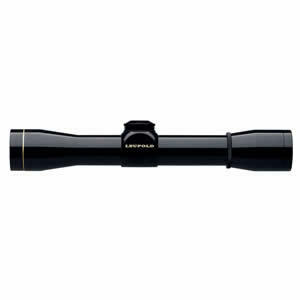 The lenses of this 22 rifle scope are fully coated to provide you with bright sharp images, which will in turn enable you to take down your targets more conveniently. As the name of the feature suggests, it enables you to get your target by providing you with lots of eye relief to make shooting your target simply a snap of the finger. Adjustment knobs with the sliding element can be quite a bother for you while trying to close in on your target. For that reason, this rifle scope is designed with sure grip adjustments that provide you with a strong non-slippery grip for convenient handling while shooting. Body: The construction body of your rifle scope determines how long your rifle scope will last. We recommend rifle scopes with one piece construction because they tend to be more durable and easy to handle. Moreover, you should also look out for a water proof body so as to be able to go about your gaming activities even during the misty seasons. Other than making it ideal for rainy weather, the waterproof feature enhances the scope’s longevity. Lenses: Another important feature that you can’t afford to ignore while purchasing a rifle scope is the lenses. This is because the optics of a scope highly determine how well you will be able to bring your target into focus. Especially, this is important for shooters that are usually involved in long range shooting. Fully coated optics tends to function better when it comes to providing optimal brightness and clarity. We also recommend doing a bit of research from customer reviews to find out which scope has had the most impressive optic feature. Reticle: The reticle capability of the rifle scope you buy determines how well you will be able to take down your target. Usually, reticles with the single dot and the hash marks design work best in delivering utmost elevation while out in the field. Currently, the reticle that is much available in the market is the duplex reticle. You will however come across others including the BDC and mil-dot reticles. Objective Lens Size: Having an overly sized objective lens size could make your hunting activities undesirable because it normally makes the rifle unbalanced and difficult to handle. We strongly advise shooters to go for medium sized objective lens, which vary between 40 and 44mm. This is because middle sized objective lens usually fit well into the rifle and also provide convenient handling to the user. Accuracy: If you don’t want to face the disappointment of encountering wasted shots while hunting, accuracy is one important factor you should also put into consideration. With that in mind, ensure that you determine the rifle scope’s accuracy before purchase. This can be done through asking friends involved in gaming or going through several customer reviews online concerning this feature. Safety: If you will be using the rifle for the first time or when training someone, you really have to insist on the safety features of the scope. This is to avoid harming yourself or the shooting trainee while out in the field. For instance, a distance of less than 2 inch of the eye relief feature can harm if you are using a high caliber rifle. Field View: This is basically how far you can be able to see with your rifle scope. Field view works hand in hand with magnification but in a contrasting manner. For instance, if the magnification is lowered, the field view increases and vice versa. If you need to purchase the 22lr, don’t forget to ensure that its magnification levels match your field view needs. Weight: Carrying a bulky rifle while going about your hunting activities will leave you unusually tired at the end of the day, which is detrimental to your productivity. To avoid such instances, it will be good for you to get a lightweight rifle scope that won’t add much weight on your rifle. Some of the factors that contribute to the scope’s weight include the length and the construction material as well so you should check them out before purchase. Q: What level of accuracy will I get from the 22 rifle scope? A: Compared to other high caliber rifle scopes, the 22lr may not offer you top notch accuracy but you can be assured of zero wasted shots with good shooting skill and quality ammunition. Q: Which kind of hunting is the 22lr suitable for? A: It does great in getting rid of annoying varmints in your surroundings. This includes squirrels, rabbits and another whole bunch of small game animals. However, it also has a capability of taking down big game animals including the likes of deer or hogs. Q: How much does it deliver in terms of power? A: Honestly, the scope is not as powerful as other stronger brands in the market. If you are mainly involved in big game hunting we wouldn’t recommend this for you. Q: Can I get one that’s lightweight so that my rifle doesn’t get overly baggy? A: Yes, there are several brands that are lightweight. Precisely, try to focus on those with a one piece construction since they tend to be lightweight most of the times. Furthermore, the construction material will help you determine how heavy the rifle scope would be. You should test how light it is before you go ahead and make the purchase. Q: I came across the term parallax adjustable while doing my research on the 22lr. What is it all about? A: First, this feature is mostly common in the high end rifle scopes. Well, the parallax adjustable feature provides the auto adjust option on the shooting settings basically to increase clarity. Over the years, the 22 rifle scope has proven to be the most popular choice for gaming enthusiasts especially those involved in small game hunting. This is highly attributed to it being easy to handle. Moreover, its features are also favorable for successful gaming activities. Besides, the 22lr is also referred as a long-lasting investment because once you purchase it you will end up passing it to your next generation. 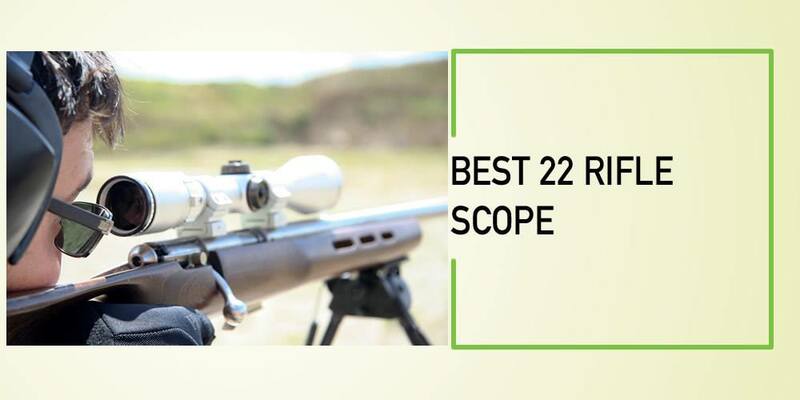 With the review above of the best 22 rifle scope, you certainly will be able to make an informed choice the next time you are going to get one from your favorite store. All you need to do is determine the ideal one for you and begin to enjoy your hunting moments like never before.